It can be tough to determine yourself whether your roof needs to be repaired or replaced. Sometimes a problem can be solved with a simple patch job to extend the roof’s life. Other times, the problems are to widespread to remedy with just a repair. That’s where re-roofing or roof replacement comes in. Your first step is to hire a reputable roofing contractor to determine the best solution to your problem. It takes skill and experience to perform roof inspections and make a valid assessment for re-roofing. 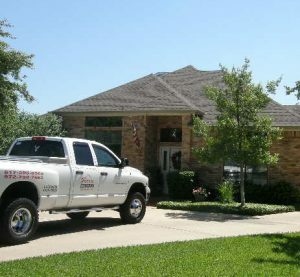 Roof repair fort worth TX is conveniently located in the Dallas/Fort Worth area, serving North Texas for more than two decades with award-winning services. Established in 1994, we are a one-stop-shop roofing company that provides comprehensive, top-quality roofing services for our clients. Our team can assess whether you’re better off completely tearing off the old roof and putting new materials on, or whether new roofing materials can be applied over the old roof. This will depend on the extent of the damage to the roof, such as if you have significant leaking or structural damage. Added Support: When you add asecond layer of shingles, you essentially add an additional layer of strength and support to the roof. With so many wind and hail storms prevalent in Texas, this gives you peace of mind knowing your roof will be able to withstand the effects of these damaging storms. Re-roofing adds extra protection for your roof, extending its life span and decreasing the need for repairs. Aesthetics: It’s not uncommon for shingle roofs to become discolored or stained over the years, so laying down a new layer of shingles boosts its appearance and gives your curb appeal a lift as well. Your roof looks new, adding to the property value of your home and that of the neighborhood overall. Ferris Roofing Contractors offers you selection when it comes to choosing a color and style of shingle that’s best for you. Quick installation: Re-roofing is easy when compared with complete roof replacement, as it doesn’t involve removing the first layer of shingles. Because you’re only adding a second layer, this drastically cuts down on the amount of steps involved in the process. Your project can be done in no time, yet you get an efficient, long-lasting roof as a result. Affordable: Because re-roofing is quick and relatively easy, it takes less time, steps and money to achieve the desired results. The money you will spend vs. a new roof from scratch is much less, leaving more money in your wallet for other home improvements. Would you like a free, no-obligation estimate on re-roofing your home or business in Fort Worth or surrounding areas like Dallas? Contact us today at 817-595-0500 and make Ferris Roofing Contractors your comprehensive solution for all roofing services.